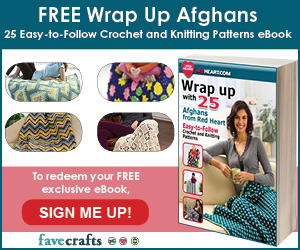 As I mentioned, post stitches can be made with dc; there are also fptrc as in the Diamond Crochet Cowl pattern; and sometimes you’ll have post stitches with even larger/longer stitches, such as quad tr fp – as in the Squares Squared pattern. I hope this helps you understand how post stitches are made. Thanks for watching! The “nxt st” refers to making the next st of the current row (3), then after the colon are the directions about where to work each half. I hope this makes it a little clearer. 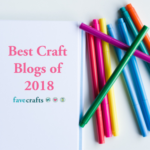 Suz, Dot, and everyone else having trouble – I have good news and bad news! 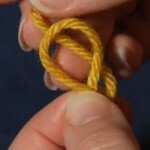 Good news: I’ve now made a video to demonstrate this stitch! Bad news: I can’t get it up on the site until I can get it edited. There’s a lot to show with that one, so it’ll take a little time. 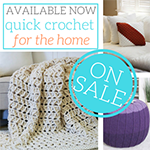 Be patient though, and a video on the basics of the Diamond Crochet Cowl will be up asap! Thank you for doing a video. I guess I need to see this stitch done to understand it. Will you let us know when the video is ready? Thanks for a beautiful pattern. I love the diamond cowl and can’t wait to see the video so i can get started, fall is on its way, i can tell its gonna be my favorite accessory. I’m a new follower (and loving your site so far), and actually JUST posted the results of my latest scarf using this technique (http://www.girlgoingcountry.com/basket-weave-scarf/) . I learned from paper instructions (gasp!) and it would have SO MUCH easier to have figured out with your video. LOL I will NEVER try to learn a new stitch/technique without trying to seek out a video first! Great looking scarf Karie! I’m so glad you’re enjoying the site! 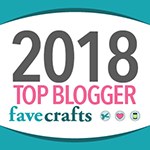 If there’s a video stitch tutorial you’re looking for but don’t see here, please let me know – I’m always looking for ideas and love to take requests! I have to say the tutorials that you post are amazing. I’ve been crocheting for years little at a time. Learning a new stitch so easily is great! Thank you so much for posting these and explaining everything while making it so easy to understand. Hi sara! 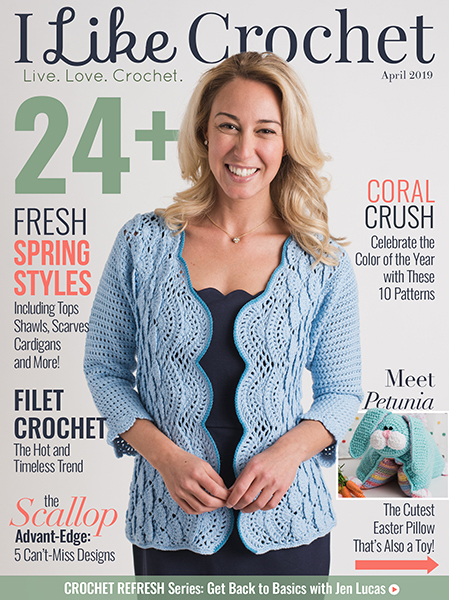 Fptrc is front post treble crochet. It’s the same as front post double crochet, except of course worked as a treble instead. Does that help? It’s the same as the diamonds, just one vertical segment of the pattern. Without the other diamonds on the sides these cables become more rounded. 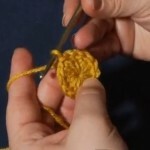 I have other videos on post stitches and crochet cabling that might help on the video tutorials page, if you’re unfamiliar with the technique. wounce i seen how sthe post stitch works, i felt like a real dummy. 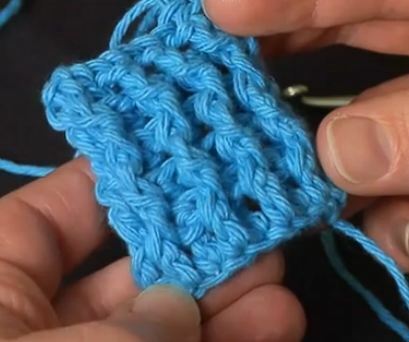 know can I apply this stitch to the cable stitch. Thanks for the great tutorial. I’m still fairly new to crocheting but I love doing slouchy beanies and slouchy berets. I was looking for a way to “spice up” my pattern and wanted to do fpdc’s and bpdc’s but hadn’t found a teaching aid that quite explained it so that I could understand. Your video was the answer! Thanks again! 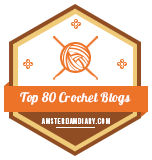 please show me what does it mean when a pattern says.. crochet in or on the stem of a stitch.? I agree with you. In my crochet book, It shows that the post stitch is post of the stitch on the previous row not the whole stitch you wrap around. 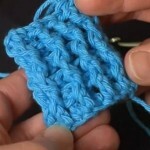 I am trying do a Front Post Triple Crochet stitch in a Celtic pattern. One row is worked BEHIND and the next row is worked IN FRONT. I sure could use a video on this!